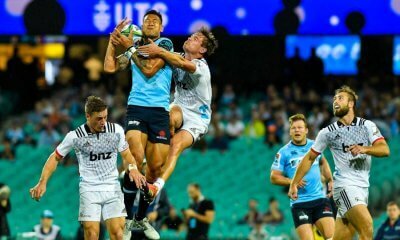 Given the Rebels’ loss to the Stormers and uncertainty around Israel Folau’s playing future, the significance of this match was heightened for where it could leave the Reds on the conference ladder. 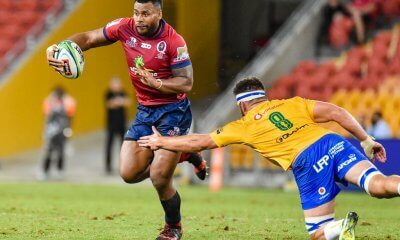 With Samu Kerevi expected to miss the next match for a rest, Queensland were doubling down on this game for an rare South Africa win. It was all the Bulls in the first half as they played some beautiful rugby, the likes I’ve not seen from Bulls team for numerous years. They played with width predominatly and it troubled the Reds who, you felt, were only barely hanging on. Tries to prop Lizo Gqoboka and backrower Marco Van Staden were both from close range but were a result form a build up in pressure. Lock RG Snyman and No 8 Paul Shoeman were proving hard to contain in attack while flyhalf Handre Pollard controlled the play methodically. The Reds scored their first points, through a penalty, within the first minute but never really looked like scoring again. The Bulls dominated both possession (and territory and any chance the Reds did get in the Bulls’ half was generally wasted with an easy turnover. The best attacking play involved a strong run by Lukhan Salaka-Loto making space for Jack Hardy, however the ball was ultimately turned over. Salakai-Loto was one of the best for the visitor’s, while the scrum found its feed after some early wobbles to finish on top of its opponents. The Bulls went to the break with a 13-3 lead. The Bulls kept the standards up in the second half, and in fact the first minute or so were just an encapsulation of what happened the previous 40 minutes as the home team secured a turnover and marched their way forward for Pollard to score under the posts. 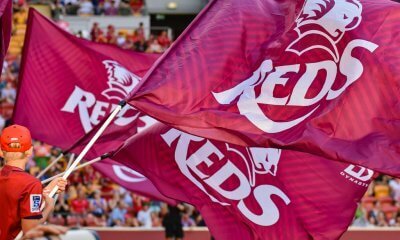 They were always in control and even when the Reds managed to score a couple of tries, they were able to reciprocate and replicate themselves. The Reds managed to string together a few more attacking passages this half but still looked largely ineffective in attack. Kerevi scored a brace of tries running straight and hard, one on the back of a delightful Salakai-Loto off-load following another typically strong run. 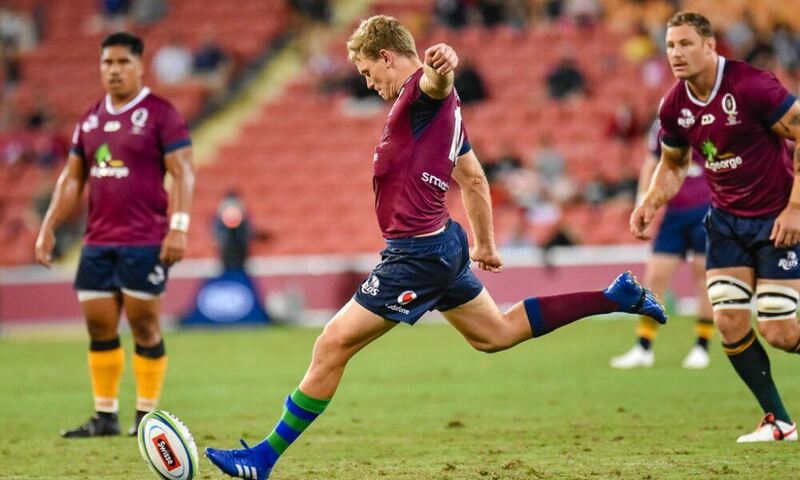 Queensland battled to make an impact through the Bulls defence and had showed little variation to break through. In a positive, University of Queensland outside back Jock Campbell made his debut from the bench and had some nice touches. The Reds now take on the Sharks in Durban, with this loss placing them 2nd bottom on the conference ladder just ahead of the Sunwolves. While the Bulls can enjoy the status at the top of their conference with a well earned bye. In reality the Bulls were always in control, disregarding the first minute of the game. 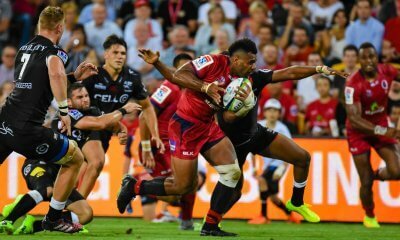 However it was the try to Handre Pollard directly after half time that nailed the Reds’ coffin shut and really put an end to any hope they had of getting back into the match. 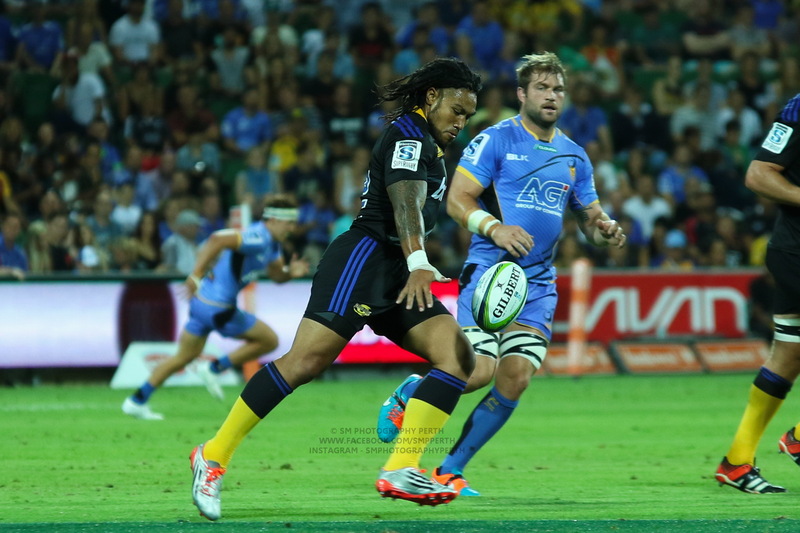 Lukhan Salakai-Loto was far and away the Reds’ best while Izack Rodda continued to work hard. For the Bulls Handre Pollard and Burger Odendaal controlled the inside channel while Paul Shoeman was very effective as well. But it has to be the massive Bulls lock RG Snyman who was like a man among boys at times in his dominance. Salakai-Loto continues his push to be considered as the Wallaby 6. Taniela Tupou put in his best half of rugby this year anchoring a dominant scrum and running powerfully. On the flipside young Tate McDermott was brought back to reality with a loose game nowhere near the same quality as his recent performances. Good summary Reg. Snyman was immense and the Bulls were throwing the ball around at will right from the start which was a surprise to me. At first their passing wasn’t great, going to ground and behind the players but they scrambled well and the Reds just seemed to have one out runners. Reds scrum was good. Fair call Reg it was a return to the yo-yo Reds of the season. TBH the Bulls looked to be in control for the entire game. My takeaways were we just cannot a ford to lose Samu RA needs to spend the Falou money on his retention. SA commentators render the game unwatchable with the one sided commentary. The Reds struggle for wingers continues. The Bulls wingers looked like men against boys. The refereeing team with Glen Jackson in it is the worst in the league. I think Jackson just guesses at scrum time. As I have said before the Reds are an immature team the best is a 8.5 and the worst I’d a 1 until the worst becomes a 6 this sort of pattern will continue. Yeah it really is time Jackson retired. He made no difference to the outcome but he misses so much in and around the rucks, lets some things go, pulls up others, and hasn’t a clue about scrums. Its frustrating to watch. Good call on Snyman as MOTM – awesome in what was apparently his first game after returning from Japan injured. The Reds line out was one bright spot in an otherwise easy to forget game. Tate McDermott isn’t a quality 9. Granted that he is fast but his passing technique is really poor. – Love the way the bulls stand deep and run on to the ball at speed. When your forwards give you a platform, this sort of rugby (which the Lions play at times as well) is great to watch. – The Reds coaches like to remind us how tough they were back in the day. Perhaps they took one too many blows to the head because their breakdown coaching is not very smart. Players picking and going on their own and getting isolated. Players taking the ball into contact in poor body positions often unable to turn and place the ball back. The Reds got slaughtered at the breakdown. Their clean out was poor in technique and speed and the Bulls slowed and turned over the ball at will. I cant remember a game with as many turnovers for a good while. – While it would be good if they had smarter breakdown coaching, you cant fault the players effort. With 20 minutes to go there was only 10 points in it which was testament to the reds ability to hang in there. – Reds had poor line speed in defence and applied little pressure. They stayed on side for the most part when their opponents were much smarter in pushing the boundaries of refereeing. – CFS seems to have forgotten the offload. He had players running support lines on many occasions and he took the ball to ground. – LSL is really in great form, doing the hard yards, tackling well, offloading. All in all though, good experience for the young Reds. Thanks for the write up Reg! Perfect Saturday afternoon game for me in the UK so was really looking forward to it. Pity about the result but always going to be a tough ask against the Bulls on game 1 of the tour. Reg hit all the key topics in his review so will just add a few extra notes that interested me. – Good to see the Reds set piece back. Overall dominant scrum, despite giving away a couple of penalties, and solid lineout. The platform for any successful team is there. – CFS is making great post contact metres. If he adds a bit more of a passing game to his skills he could be very handy. – Wallabies wing spots are wide open IMO. Even more so than 2 and 6. No standout candidates and all offering something. Really miss Naiyaravoro as a point of difference. Daugunu could have a shot at 7s. Maddocks is a talent but defensively a bit fragile. I’d be finding spots for Banks, DHP and Hodge if pushed but that means playing people out of position which I don’t like in general. – The game really has moved to 9 being the focal point of attack. With forwards doing more attacking running and offloading and short passing the 9 is in charge of initial play. They’ll get comms from the backline about what’s on but it is up to them. The Reds have the least experienced 9s in the tournament and it shows at time. Tate and Moses clearly have talent but even compared to Powell and Gordon they are behind in the experience stakes. I hate to say it but it seems another building year for the Reds ultimately. They shouldn’t be easy beats this year and will spring a surprise but they haven’t come as far as we were all hoping. Hopefully they prove me wrong in the second half of the season! Good points Huw. Couldn’t agree more about 9. Its now more important than 10 in the modern game. For the last 5 years when Genia puts in a bad game we really struggle. I like your back 3. They are all smart rugby players and can all catch and kick. Banks speed would come in handy on the wing. Maddocks can go to the bench.